Earlier this year, we announced six new research grants focusing on three of our key areas - improving bowel cancer screening, understanding more about people at higher risk and furthering our knowledge of bowel cancer in the under 50s. 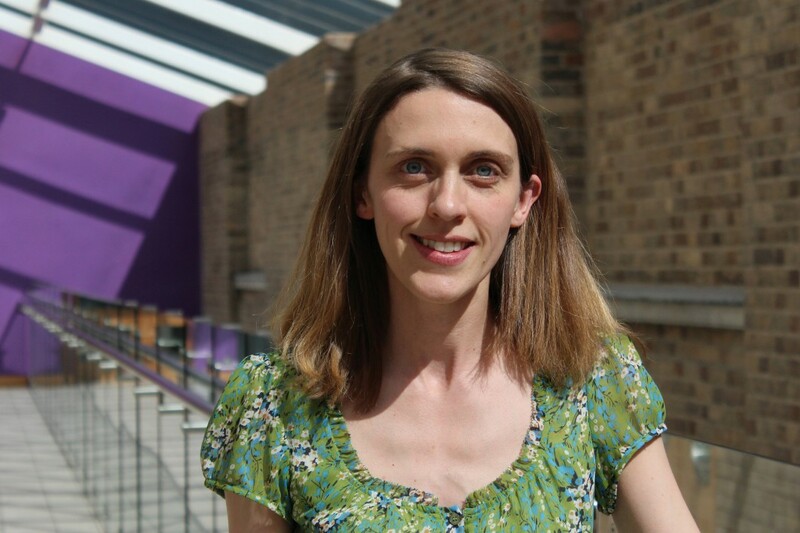 We asked one of our grantees, Dr Claire Palles from the University of Birmingham, more about her research career so far and the work we’re funding to help explain why some younger people are at higher risk of bowel cancer. Why did you decide to go into research? Inspirational teachers and a mother who bought me a microscope for a birthday present fuelled my enthusiasm for science from an early age. I went on to study Biological Sciences at Warwick University and thoroughly enjoyed my final year laboratory based project, so much so that I applied for jobs that would allow me to keep working in the lab, discovering new things. Then as now I find it extremely exciting and motivating to be answering questions that haven’t been asked before using the latest scientific techniques. Publishing my first paper during my PhD studies describing experiments that I had performed. Identifying that changes or faults (known as mutations) in two new genes cause bowel tumours and increase the risk of bowel cancers and some other cancers too. Clinical genetic departments around the world now look for these genes in patients with bowel tumours and cancers. Setting up my research team in the Institute of Cancer and Genomic Sciences, University of Birmingham to study the genetics of cancer in the digestive system. How do you go about identifying new genes linked to bowel cancer? We work with clinicians to identify families where more than one first degree relative has been affected by bowel cancer or non-cancerous growths known as adenomas, that can increase the risk of bowel cancer. We look for genes that can cause bowel cancer to find people who don’t have any of the changes that we know about. We then ask these individuals if they would be willing to participate in our research. This involves providing a blood sample and letting us use any tissue samples already stored by the hospital treating them for our research. We then extract DNA from the blood and tissue samples and use technologies that allow us to read the genetic code in the DNA. We also ask unaffected relatives and other cancer free individuals to participate in our research. By comparing the genetic code in those that have cancer and those that do not, we are able to identify genetic changes that are linked to bowel cancer risk. What do we already know about the genes linked to bowel cancer in younger people? There are 15 genes that we already know about and rare inherited changes in these genes greatly increase a person’s risk of developing bowel cancer. Changes in these genes only explain a small proportion of bowel cancer cases diagnosed in young people. This is why the project that Bowel Cancer UK have funded is so important. How will knowing more about how and why these cancers develop help to prevent and diagnose bowel cancer earlier in the future? We are aiming to identify genetic factors responsible for a much larger proportion of early onset bowel cancers. By understanding what has caused the increased risk we will be able to improve the care of patients and their families. This will include providing appropriate cancer screening, beginning early enough to ensure we can detect non-cancerous growths that might go on to develop into bowel cancer if not removed. Knowledge of a larger proportion of the causes of bowel cancer in young people could be used to identify which currently healthy individuals in the population should be screened earlier than is currently done as part of the national bowel cancer screening programme.